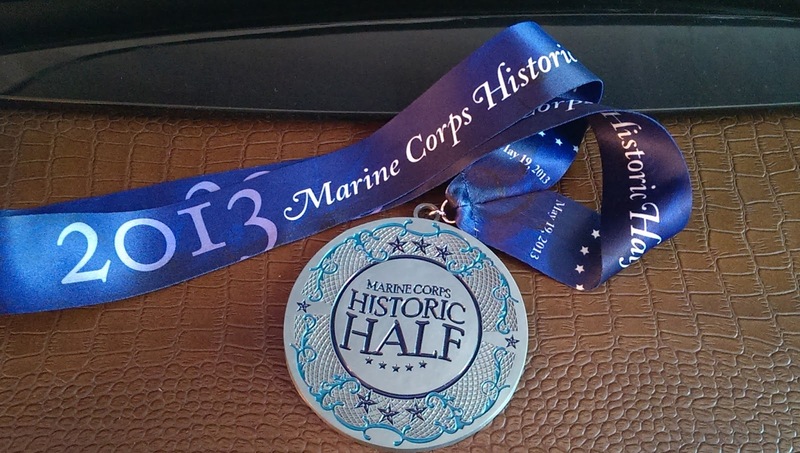 Barefoot Baby Steps: Half Marathon? Check! I planned for it, I trained for it, I ran it...today. It was early and drizzly and humid, but absolutely worth the effort of the previous four months! As of this afternoon, I feel great. No ankle issues, no blister issues, no pain issues of any kind...but will definitely be stretching before I go to bed tonight! 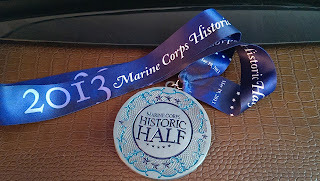 Mile 5 was my fastest - 9:07. Mile 11 was my slowest - 14:36...in my defense that is where Janice and I encountered the dreaded Hospital Hill. On average my running pace was 11:57. We missed our goal of 2 hours 30ish minutes, but it was great just to know that I could do it. Next up - My first 10K race (a little over 6 miles). After that, back to increasing my distance in my Brooks PureConnects. 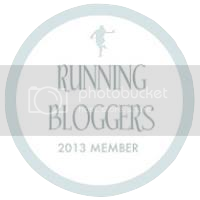 I saw enough runners in Vibrams, to remind me barefoot running is my ultimate goal. I really want to be able to run any distance I choose in a minimalist way that is easier on my joints and supposed to be more efficient for my body.